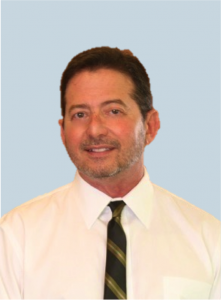 Dr. Jack Cassell moved to Lake County, Florida in 1988 after finishing a urologic oncology fellowship at the University of Florida in Gainesville. As a specialist in the treatment of urologic cancers, he quickly realized what he learned during academic training was merely a starting point to formulate state-of-the-art treatment plans for cancer patients. The field of urology has evolved dramatically over the years with the introduction of amazingly effective, minimally invasive modalities driven by modern research and development. It has become obvious that traditional “blood and guts surgery” with all its complications and prolonged recovery periods are no longer the “standard of care” for patients facing urological diseases. With that in mind, Dr. Cassell adopted HIFU into his therapeutic regimen in 2008. Having performed 20 years of traditional radical retropubic prostatectomies while taking care of the good people of central Florida, the prospect of attaining the same cancer free results without any of the complications was precisely why he learned the technique and incorporated HIFU into the types treatments he offers patients. The vast number of men he has treated with HIFU have not regretted their decisions to avoid radical surgery and radiation for their primary therapy. In 2004, Dr. Cassell authored the book, Better Living Through Urology, which was written for the benefit of patients, nurses and medical students trying to navigate their way through urologic issues or basic training. My second edition will surely include information about HIFU and all it has to offer men with a diagnosis of early prostate cancer with the hopes of retaining their erectile function and continence. Prior to learning anything about HIFU, Dr. Cassell invented and patented a coupling device for the purpose of reattaching the bladder and urethral margin during a DaVinci robotic prostatectomy to avoid urinary leakage or postoperative scaring. He pursued marketing his innovation for a brief period of time until he saw that the future of the treatment of prostate cancer was really headed. Dr Cassell believes that HIFU is the most effective, least invasive way to cure early prostate cancer and that it will remain the crown jewel that urologists have to offer for this disease for many years. 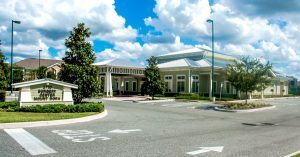 The Surgery Center of Mount Dora offers a world class surgical experience in a convenient location. At The Center you will find some of the finest, most well-respected physicians and staff in Central Florida. The Surgery Center is a new, modern facility with no parking hassles, and you don’t have to worry about the complicated maze of hospital buildings.